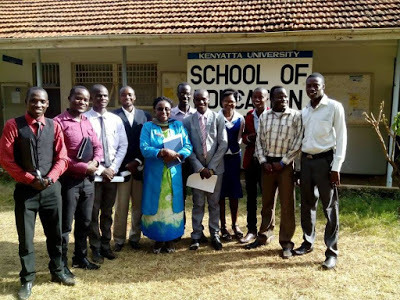 If you are social media (Facebook) enthusiast, then perhaps you have come across the Comrades Forum Group by the name: KENYATTA UNIVERSITY WE ARE ONE(COMRADESHIP). Well, if you have, this is the story behind the Group’s administrator.He talked to K.U-Comrades Forum Team about his early life so far, his ups and downs and what he has been up to since he joined the university. Pete Kaugi: As an only child, how would you describe your childhood?! Pete Kaugi: You’re still the only child?! Pete Kaugi: Education…where did it all start?! Amos: I went to Hills combined Academy in Migori when my parents were still there ,I did my KCPE got 359 marks. Was called to St. Joseph school Rapogi Boys in Nyanza one of the best performing school in Nyanza, but due to high fee it was a challenge for me to complete my form 4 there so I was send away because I had fee balance of 64000/-. So I went and joined a day school called Onyalo Mixed Day school. While at Onyalo I was selling chips on street during weekends to raise my fee . Fortunately one of my customer’s was a staff at Equity bank, she was amazed that despite the hardship I could raise cash for my fee. Leadership and giving back to the society.I felt inspired mentoring Wings To Fly Scholars. Then she told me to apply for Wings to fly scholarship, which I later qualified for, so Equity Group Foundation paid my fee from form 3 to form 4. Even though never made it to the expected grade I wanted I thank God I managed to be part of Kenyatta University. Pete Kaugi: Hard work does pay…that much you can attest to. What would you say was your driving force during your primary school years? Pete Kaugi: You said during high school is when you had to shift schools?! How did you / people around you take this transition? Amos: Yah I had to shift since I had nobody to pay my fee, people around me were not that serious with my education especially my relatives. Only my friends and well-wishers could cheap in to guide me and offer some basic needs. Pete Kaugi: So, what did you decide to undertake to help take care of yourself? Above all this I could volunteer to help in sensitization of keeping environment clean, creating peace awareness and this made me meet great leaders who motivated me and advised me to keep on working hard. Pete Kaugi: Quite the hustle…and this is when you met the equity bank sponsor?! Amos Onyango: When I was selling chips on the streets of Kimaiga in Migori County I had an Equity staff called Wendy who was my customer .This was early May 2012. Pete Kaugi: …you sparked a conversation with her?! Pete Kaugi: Then what happened?! Pete Kaugi: Would you say this is what motivated you to work towards oneness regardless of one’s background?! 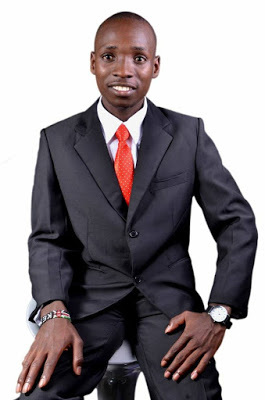 Amos: To me a big Yes, because the lady was a kikuyu and am half luo half Abasuba so most of people who saved me were from different tribes, imagine a Kisii hosted me for 1 yr. when am looking for a place to stay. 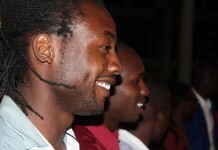 Then to campus…how did you land to Kenyatta University?! 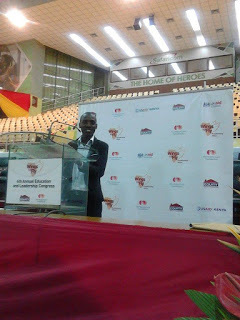 Amos: Landing to K.U was another success story, I missed the cut off point narrowly, but from the far I came I had faith in God that one time I will join College not necessary a university, so I carried on with my job of selling chips and I saved ksh25000, Then to my surprise one of the busy mornings, one of my customers working for NIHF Had Daily Nation Newspaper and I remember it was Written Kenyatta University announces scholarship for OVS(Orphans and Vulnerable Students). The young man told me to apply for the scholarship he has feelings that I will be taken. So it found when I had money, so I applied for the scholarship, though was doubting since this country is full of corruption. A month letter I had a soft voice “Hello Amos am Purity from financial Aid office K.U, am pleased to inform u that u qualified for the scholarship. 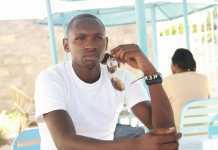 I was so happy that’s how I found myself at Kenyatta University. Pete Kaugi: Wow! That must have been quite the milestone! This is when then you moved to Nairobi?! Pete Kaugi: What impact did moving to Nairobi have on you and what you believed in?! Pete Kaugi: What have you been upto in K.U since you joined…as a person who wants to promote unity that is. Through this have always talk to them the importance of loving one another. I created so many groups Facebook and what’s app. One of my Facebook group’s is KENYATTA UNIVERSITY COMRADES WE ARE ONE(COMRADESHIP). 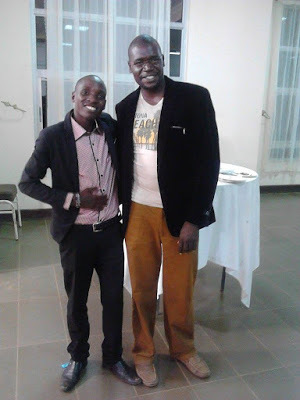 The aim of creating the group was to unite all tribes in K.U in Order to minimize this stereotype of” Tribalism will remain” Due to this hard work and selfless services I won the KUSA HONOURS AWARD 2014 for Distinguished Leadership. Pete Kaugi: And how do you intend on achieving this?! Amos: Oh! That’s secretive but am planning to launch a program soon that will aim at creating awareness of being together, find out the source of disunity is it students or administration and find out the best way of dealing with this. I believe in dialogue. Amos: Planning, also to bring all 47 county students under one umbrella. In every successful thing there must be a challenge so I believe that the challenges I will meet will get us the solution to disunity. Pete Kaugi: That is going to be quite the challenge – but I know, with all that’s happened, you WILL be successful. The KUSA Honors awards…tell me about that. I have been inspired by the wise words of this script writer and actor of Mother-In-law of Citizen Tv.Mr.Charles (Patrick real name) Surely if you want to be like a king spend your time with kings.May God bless your work,your story is so touching. Pete Kaugi: You mentioned you were a class representative for the quite the number of units. Does this mean that you’re interested in leadership?! Pete Kaugi: So, do you believe corruption goes a long way to causing dis-unity? Amos Onyango: Yah I believe so if we are corrupt no love can be there and so we are enemy of one another, corruption is the pillar of disunity, it can take long in expressing this from land grabbing, employment name them…. Pete Kaugi: How’s campus life for you so far…and any last words to the students? Amos Onyango: Campus life is awesome but again a ‘destroyer’ if you don’t realize what you want to archive. My greatest word is LOVE, Let’s love one another and be as one, also respect to God. Pete Kaugi: What’s your parting shot line or quote that you use as a principle? !